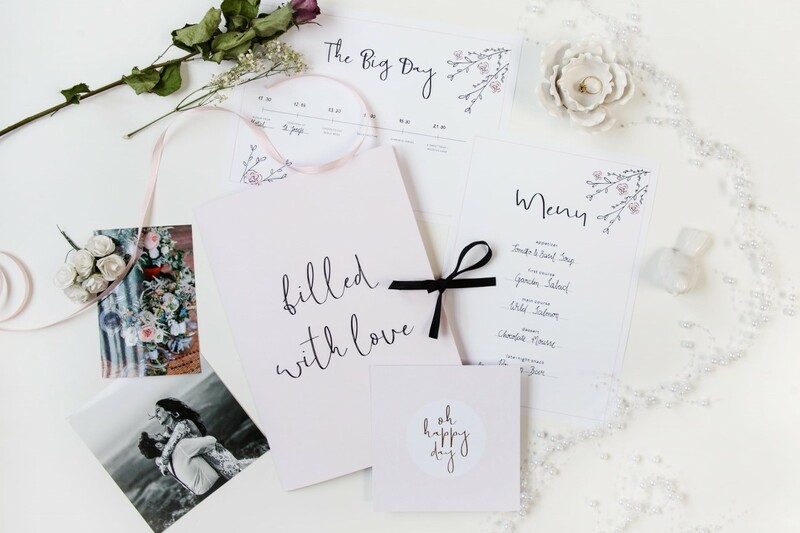 To make the wedding of your dreams and wedding menu absolutely perfect, we’ve designed two gorgeous downloads for you! Present the menu on the free Menu-PDF and let your guests know where they have to be at what time with the lovely Timetable-PDF. Both downloads will keep the memories of your wedding day for you and your guests alive. Keep your menu and timetable in the folder “Filled with Love”, gift it to your guests and always have a piece of your dream wedding at hand!